In the mid-1830s, Charles Denham Jephson, who a few years later would be made a baronet and assume the additional surname of Norreys, decided to improve the family seat of Mallow Castle, County Cork. In fact, the original castle – a fortified mansion dating from the 1590s – had been abandoned by the end of the 17th century when the Jephsons converted a stable block to the immediate north into a residence. It was to this building that Jephson turned his attention, with some help from the English architect Edward Blore who during the same period was designing Crom Castle, County Fermanagh: certainly in 1837 Blore proposed the addition of a tower to the house at Mallow. However, it seems likely that despite looking for advice elsewhere Jephson mostly acted as his own architect, using the opportunity to evoke the era when his forebear Sir Thomas Norreys had first settled in the area. Described by Mark Bence-Jones as ‘a remarkably convincing reproduction of vernacular late C16 or early C17 architecture; with none of the pretentious “Baronial” or “Elizabethan” features which most early-Victorians could not resist,’ Mallow Castle’s garden front is a long, two-storied block relieved by a succession of projecting gable bays and mullioned windows, above which rises the tower proposed by Blore. In the mid-1950s, a later Jephson added an entrance front to the immediate right of this building, the stone for which had been cut in the 1830s but not used, thereby completing the scheme. Cork County Council has declared that the work carried out in grounds of Mallow Castle is the first part of a three-phase development programme for the site and in February it was announced that a masterplan tender brief for the property is currently being prepared. In the meantime, that conditional ‘if’ must remain in place. On a recent weekend visit to Mallow Castle, a group of French tourists looked somewhat stunned as they entered the site to discover it heavily littered and the house firmly shut. In fact it is somewhat surprising that they managed to find their way to the place, since what is supposed to be a major tourist attraction appears un-signposted, with access located up a minor lane. But evidently local carousers know the spot well, and have no problem entering it even when the gates are closed: hence the abundant litter. 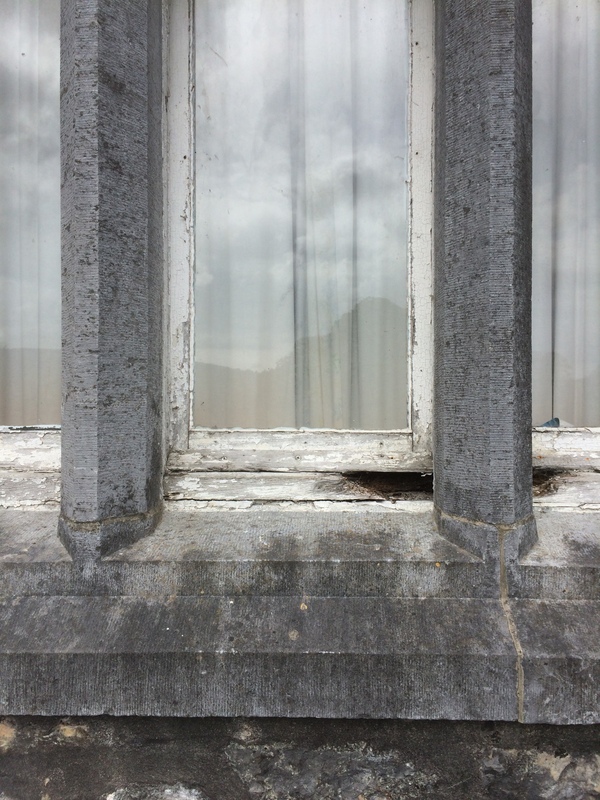 As the owner of any historic property could advise Cork County Council, looking after such a house is perforce a time-consuming and expensive business – but not looking after it will ultimately prove to be even more time-consuming and expensive. The installation of better security around the site would help deter unwanted visitors, and their litter (sundry notices advise the presence of CCTV, but there is precious little evidence of it). A few bins would not go amiss either. Furthermore it seems that the house has sat empty and unoccupied since being purchased by the council. An obvious way to discourage nocturnal trespassers would be to have people living onsite: get a tenant, or better yet several, into the house. This would be beneficial for the building which at present is visibly suffering from neglect (thereby increasing the cost of its eventual refurbishment, a cost to be borne – as ever – by the nation’s tax payers). Shutters are closed and curtains drawn across windows, the frames of which are rotting (leaving them more vulnerable to being broken and illegal access being gained to the building). Doors are likewise in poor condition and in at least one place roof tiles have slipped. What, one wonders, must be the state of the interior? What sort of example is Cork County Council setting to other owners of historic buildings by displaying so little interest in the welfare of one under its care? Can it really expect anybody else to act as guardian of our heritage when it manifestly fails to do so? Houses need to be occupied and used, otherwise they risk falling into decline. Such is the case here: what’s required now is more of the flair and imagination displayed by the authority when it made the decision to acquire the property. Reports and action plans can wait: a house cannot. At the time of that purchase, another local politician announced, ‘This is a very significant development in unlocking the future potential of Mallow Castle as a tourism and heritage resource for all the people of Cork.’ For the moment that potential remains unrealised. This entry was posted in Architectural History, Cork, Country House, Heritage at Risk, Irish Castle and tagged Architectural History, County Cork, Heritage at Risk, Irish Castle, Mallow, The Big House. It is used as a venue for food and craft fairs occasionally. I also noted the state of disrepair of the roof. Surely there is severe water damage. An aside is the flock of white deer gifted by Elizabeth I. They don’t have a lot of space anymore because their grazing land was sold for housing development during the tiger era. Cork County Council have been as profligate in using their funds to purchase Mallow Castle as Mallow Town Council were with theirs; the main one being the much derided traffic blocking ‘plaza’ in front of the Clock House, just a minutes walk from Mallow Castle gates. The trouble is that it is all very well talking glibly about ‘tourism and heritage potential ‘ but to make that work needs both vision and practical realism. Unsurprisingly it appears to be lacking. Earlier this year the Council demonstrated their strange sense of priorities for the castle by spending a large sum of money paving the entrance to the Castle with some suburban looking pale coloured square cobbles completely out of keeping with the spirit of the place. It looks as if the Council were unaware of the continuing lack of purpose for State owned Doneraile Court only a few miles away. A far better future for Mallow Castle given its long low facade would have been to sensitively convert it in to ten or fifteen separate dwellings for retired people who would have them on a lease. It would then continue in its original purpose of being residential and in constant use. Thank you for getting in touch. Your proposal about converting the house into a series of residences for the elderly is so wise and right – but one fears it will never happen, being far too sensible! The fate of Vernon Mount House comes to mind. Profoundly depressed by this post. I visited Mallow Castle today. Most of the litter had been cleared away. I think the site does offer good tourism potential. The ruins of the old castle are rather grand. I very much agree. I wonder if John Malone has an interest in Irish historic houses etc. He easily could step forward, given this problem is not all that far from the estate he bought (near Mount Juliet) not long ago. The proposal to divide the house into a series of separate residences seems reasonable (if no one will put up the funds to save the house for the public).